Okay we realise that “wine time” should be mindfully moderated, but there is no reason we can’t sort ourselves out in extra cute style when we do decide to have an “oh my god I have children who never go to bed” glass of vino at the end of the day. In the latest episode of “I didn’t know I needed that!” we present these fetching and fancy glasses. While they DO feature popular Disney Princess characters, they’re most definitely not for children. Instead, they’re for tired and strung-out parents who want the comforting nostalgia of an up-do-ed lady combined with the bolstering fortitude of a lovely glass of wine. 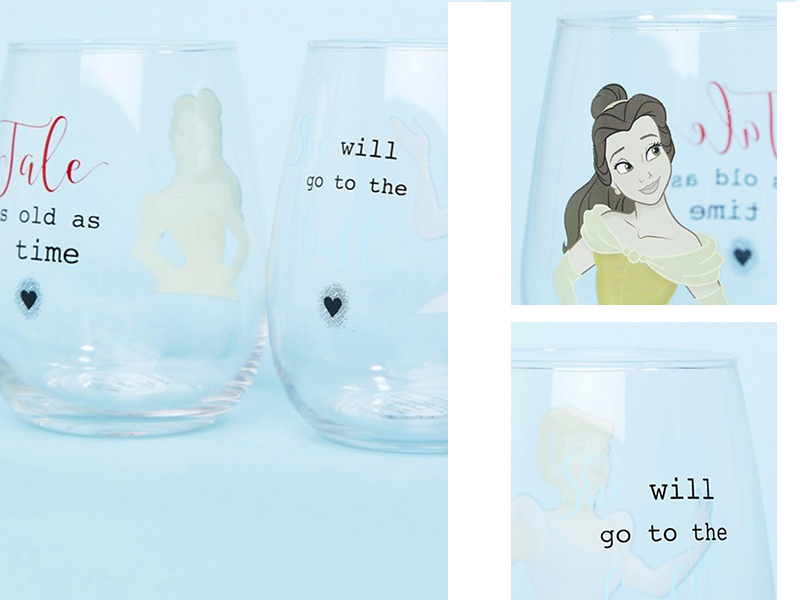 The covetable glasses feature a very thirsty, side-eyeing Belle from Beauty and the Beast and a slightly panicked Cinderella, who appears to be summoning a generous pour of rosé. There are memorable quotes from each movie prettily penned on them too. 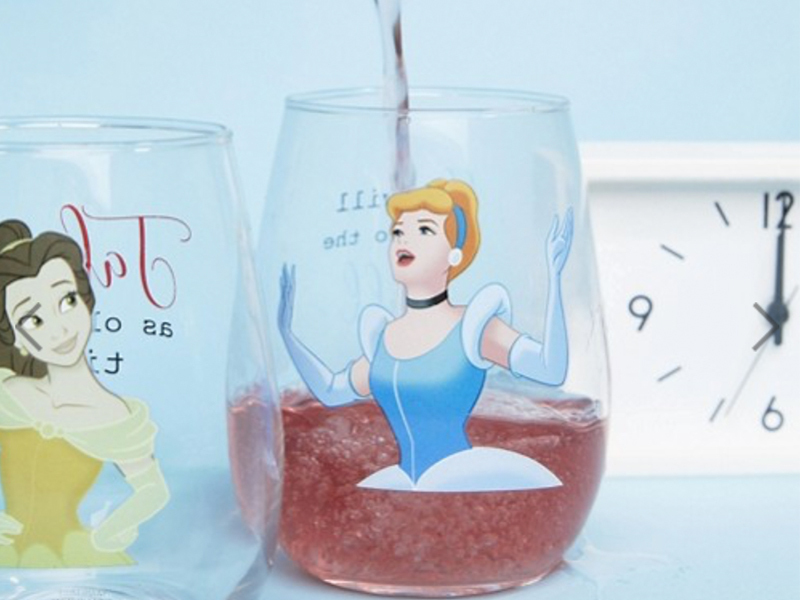 We predict you’ll be whisper-singing the Disney theme songs, as you sip and will your children NOT to ask for this evening’s 347th glass of water. We’d also like to point out that Cinderella looks really happy with her glass of wine. These glasses come with the promise of making YOU feel equally chipper. The twin set of stinkin’ adorable tumblers retails at $25 per pair and you can snap yours up at ASOS. These are official Disney licensed merchandise because no shoddy substitutes allowed! Possibly your bestie/sister/mum needs these too? We think so.